As the largest foodservice distributor of produce in North America, we focus on bringing fresh food from the farmer’s field to our customers’ kitchens. FreshPoint operations span more than 20 distribution centers in the US and Canada. We target regional and national foodservice customers in such markets as catering, healthcare, hospitality, restaurants, and schools. FreshPoint also supplies grocery stores and other wholesale suppliers with apples to zucchini and everything in between. The roots of FreshPoint can be traced to humble beginnings as far back as 1865. Today, this same vision and integrity remains vibrant. Our success is backed by Sysco, the strongest food service company in the nation and around the world. What sets us apart from the rest of the produce providers is our expert staff of professionals, extensive product knowledge, and unsurpassed customer service. When it comes to fresh produce and fresh careers we know how to deliver. Come join us. Fresh produce is the key ingredient for success at FreshPoint and our drivers deliver. This engaging position will transport and deliver products safely and on time. Our drivers are the face of our company as they enjoy daily interaction with customers along a specified route. 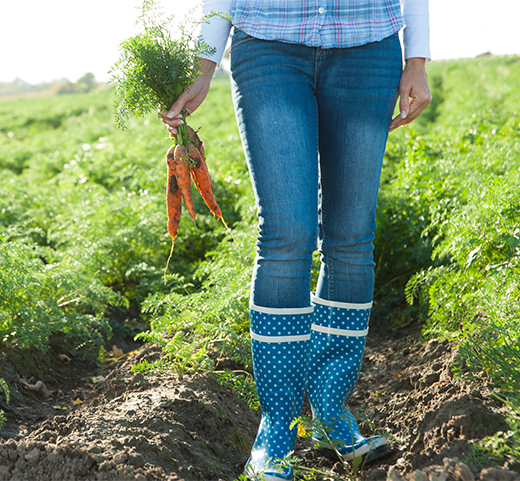 From the farmer to the table, food safety is paramount. Our Warehouse members manage all aspects of shipping and receiving across more than 30 North American locations. They receive and store inventory, select quality products for customer satisfaction, and pack products for customer shipments. Fast-paced, fulfilling, and fun! For those seeking a healthy workplace that supports a passion for a healthy lifestyle, look no further. The Sales group grows our business as they develop a close working relationship with our customers. Known for their passion, efficiency, and helpfulness, they place orders, answer questions, and handle customer concerns 7 days a week. From Accounting to Human Resources, a Professional career at FreshPoint is full of chances to apply your experiences and skills. We’re looking for people who are hungry for new challenges and eager to grow with us. With multiple opportunities and locations, there are countless chances to do things you never thought possible. Any way you slice it, our Production crew is essential to our healthy, high performance team. These skilled workers bring energy and attention to detail as they perform various tasks including coring, trimming, cutting, slicing, and chopping a variety of fresh produce items. The work is fast paced but perfect for those who are committed to precision and can multi-task with ease. GO ON A VIRTUAL TOUR WITH US! FreshPoint offers a variety of different positions in beautiful locations across the country. At FreshPoint, helping others is at the core of what we believe. We love being green and are committed to agriculture practices which are profitable, environmentally sound, and good for our communities. This includes supporting local farmers who reduce their use of pesticides as well as creating a stronger demand for growing and buying organic. Our associates have the chance to make a difference in the communities in which they live and work. We donate MILLIONS of pounds of produce, participate in hundreds of fundraisers, and are very active with charities and special causes in our communities throughout the year. Join the FreshPoint Talent Community today.